Is it Spring already?! April writing activities, learning about life cycles, eggs and chicks and butterflies, oh my! 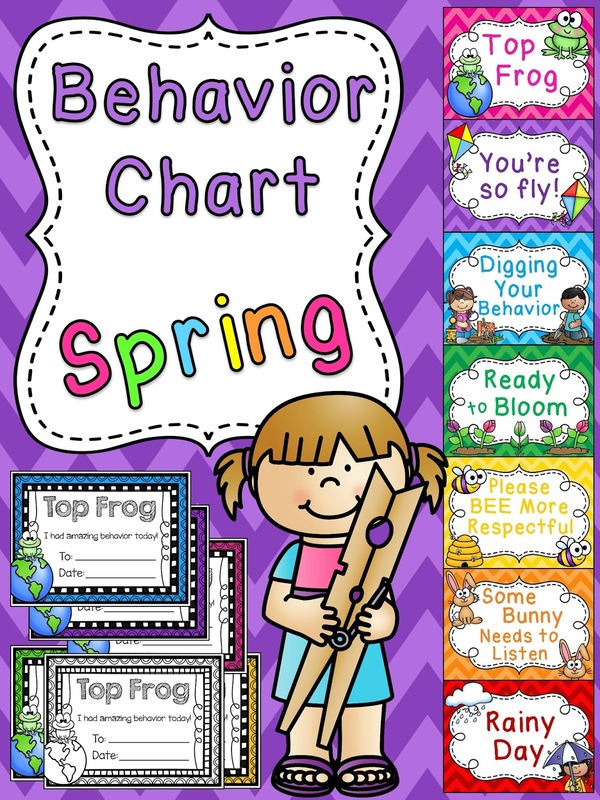 I love Spring because students are finally starting to follow all the classroom routines with ease… right before the year’s almost over, of course :) but I also love it because there are a lot of fun spring themed science, writing, and math opportunities in April and May. Life cycles are a fun topic in science in spring. We learn about the life cycle of a butterfly first. I love to integrate science into writing as you can see in the picture above from my Spring Writing Crafts pack. I think kids learn a lot more when they write about their learning. 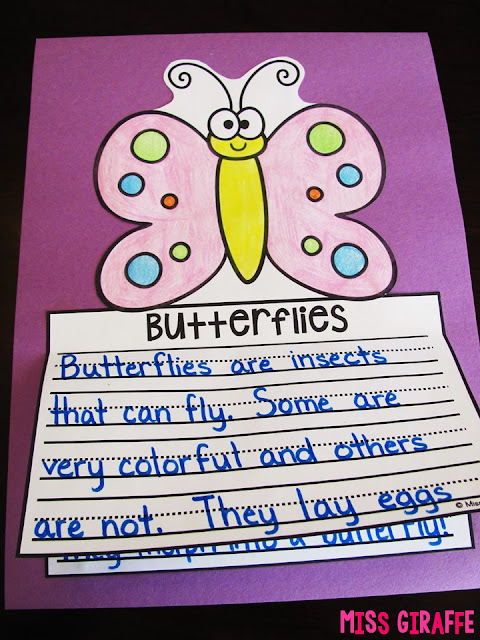 After learning about the life cycle of a butterfly, an easy activity is the Find and Write: Butterfly Life Cycle activity. Simply put the big picture/word cards around the room (tape them to the wall, etc.) 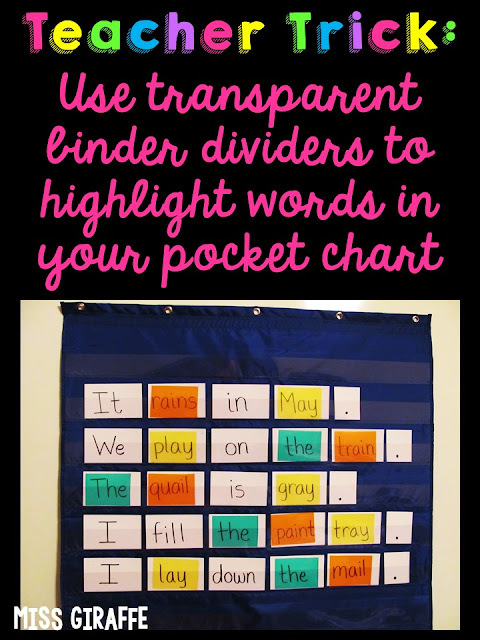 and have kids go on a hunt to find them, match the picture on their recording sheet, and write down the vocabulary word. 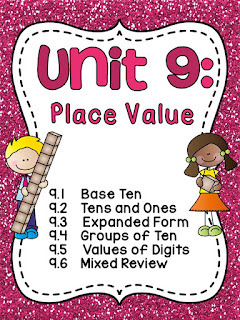 For this activity, kids grab a card that shows a number in base 10 blocks. They figure out what the number is then color it the color of the card on their hundreds chart. Once they do all the cards, it reveals a picture of a butterfly!! 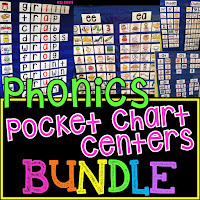 These are a kid favorite and sneak in a ton of number practice! I actually love to put the cards on a binder ring (simply punch a hole in the top left corner of each card) like I show in this video from my Instagram. The cards come in both this base 10 blocks version to practice place value AND a full set of cards where it just says the number. 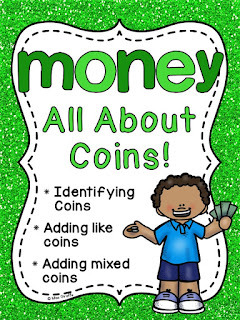 Those are much easier, of course, and great for practicing number sense. 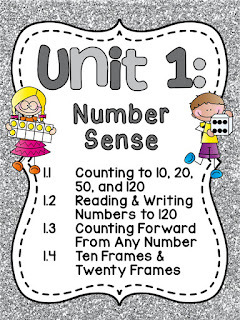 If you haven’t read my huge post about building number sense and have kids struggling with it, I recommend reading that post to get some ideas – I shared a lot of my secrets :) I also have a post about teaching place value and a lot of other math concepts if you want more math tricks. Anyway! Next is learning about the life cycle of a frog and another Find and Write activity. Then, have students practice their first, next, then, last, etc. 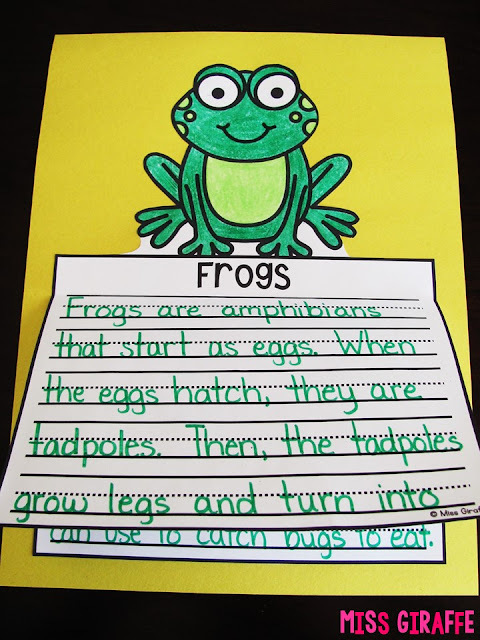 style of writing with a Frog no prep craft to tell you the life cycle of a frog. These make a super cute April science/writing bulletin board as well! Another fun thing to learn and write about in spring is insects! I LOVE all of the picture heavy bugs books available for kids – kids just eat them up with the “scary” real life pictures. 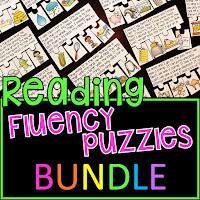 They’re great for nonfiction reading practice, especially the little readers for small groups. This is a quick little writing craft to do about insects if you learn about them too! 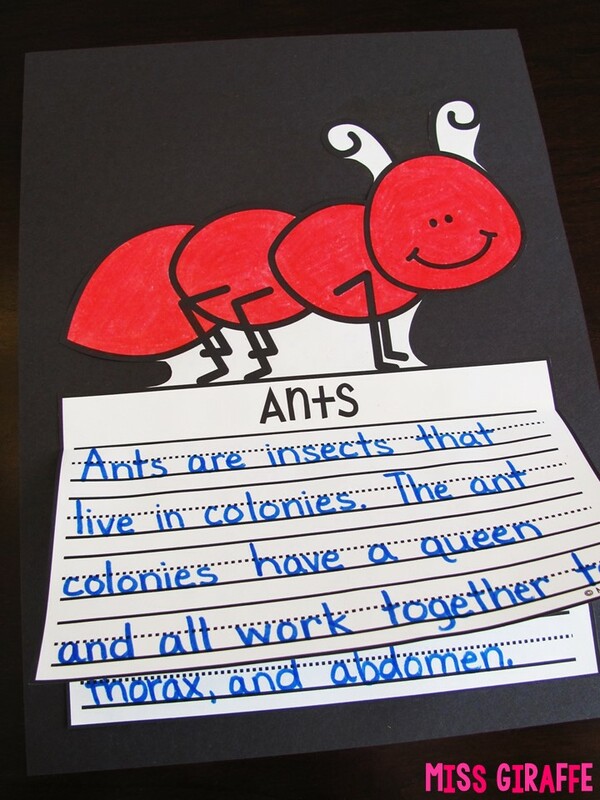 I also have one specifically for Ants because I know a lot of teachers teach specifically about ants so it’s an easy way for students to recap their learning with this cute little guy! 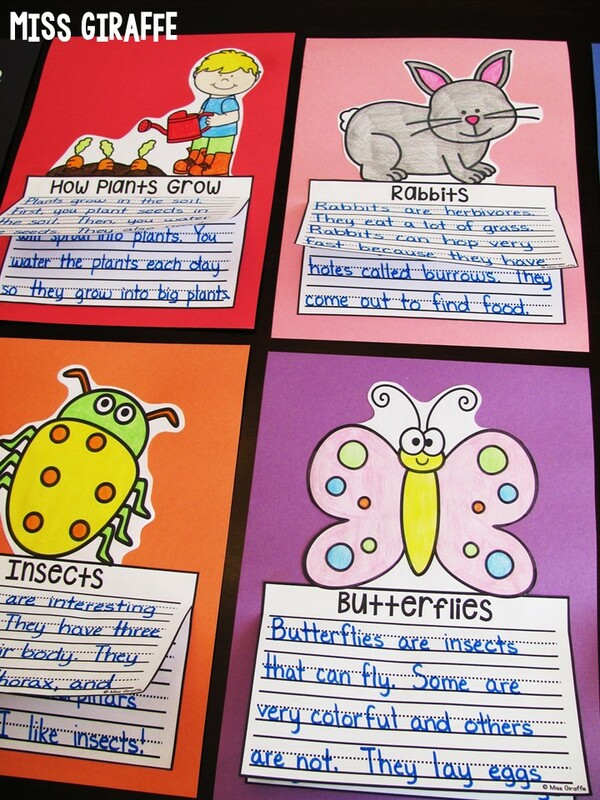 Plants and how they grow is also another spring science concept! If you have the time to do a “science experiment” of taking the kids out for an extra recess where you try to fly a kite, it is such a fun way to bring their writing to life. I am awful at actually getting the kite up in the air but maybe you’re more skilled than me ;) After flying the kite, they can write about it in how to writing format to practice procedural writing. Speaking of bunnies… I have some fun Easter bunny crafts too if you do Easter activities in your home or classroom. 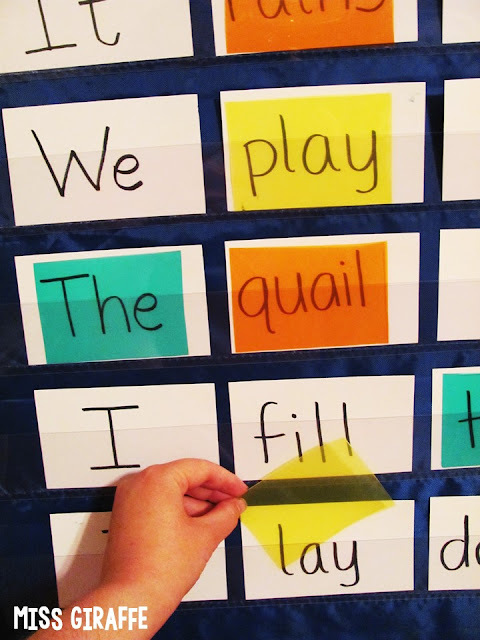 All of the writing no prep crafts you saw above this (not the Find and Writes) are in the Spring Writing Crafts pack. Now I’m going to show you some fun no prep crafts from my Easter Writing Crafts pack! A really fun way to get their imaginations going is to pretend that THEY are the Easter bunny and tell them to come up with a funny story of what would happen if they were the Easter bunny. Brainstorm some funny mishaps together and then let them write their own. Another creative writing piece they can do is The Magic Egg… another fun one to brainstorm what the magic egg could be, what could it do, etc. and then let them come up with their own stories. I love using plastic eggs for so many things in April. You can make centers so much more fun by putting things in eggs :) One fun idea is to get the clear plastic eggs and put dice in them for when they roll dice in centers. It’s just an easy way to incorporate a little fun AND the dice don’t go flying everywhere! 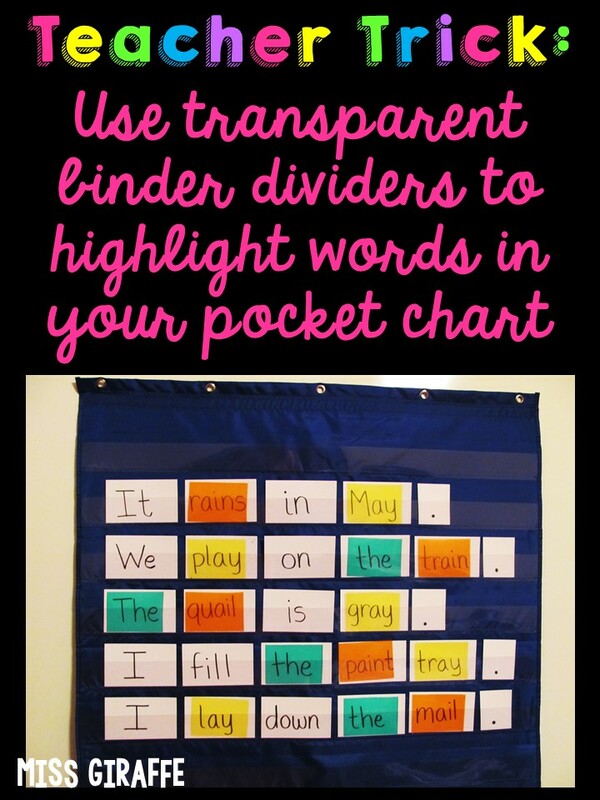 To prepare for this craft, you could have an egg hunt in your classroom where you crumple up center cards for a skill and put them inside plastic eggs. Then, have students go around trying to find them and answer the questions like the Find and Write activities I showed before. 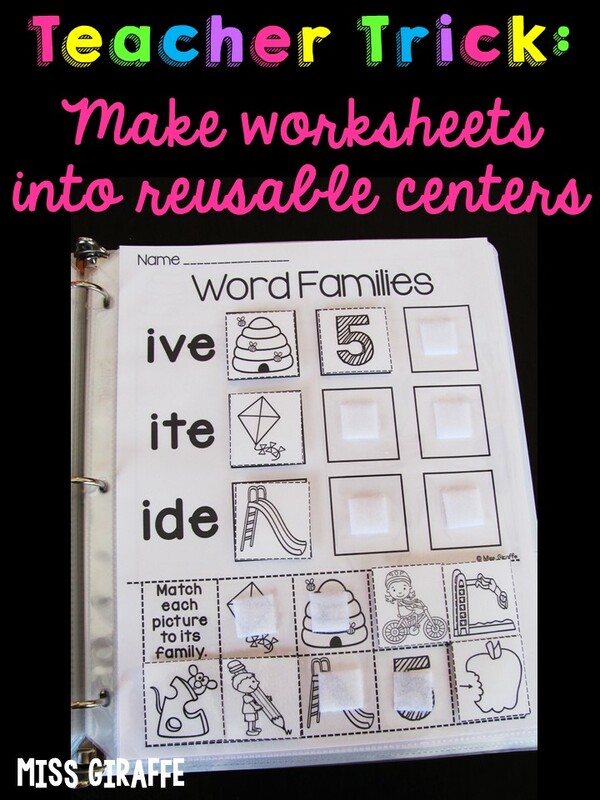 You could do this with any center activity that has cards and a recording sheet! I just love Spring! 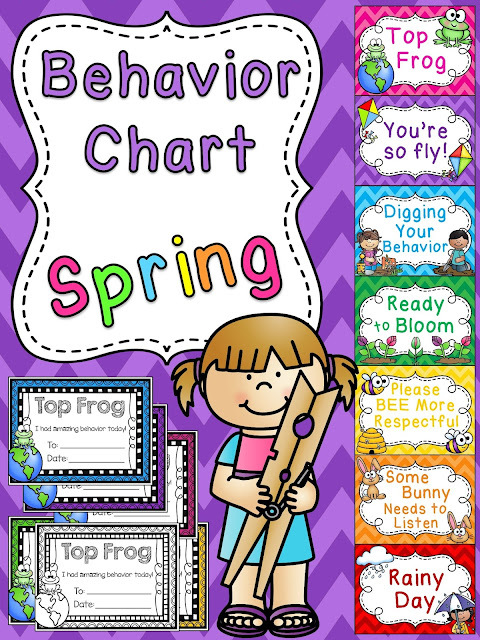 If you read my blog regularly, you also know I have a new behavior chart for every month (as well as other themed ones for fun throughout the year like pirates, circus, under the sea, etc.) so of course I have a Spring one! Every kiddo will want to be the Top Frog obviously :) But really, kids love trying to get to the top of the chart to get the new certificate (in this case “Top Frog”) to take home to their parents and such! Earth Day is a great opportunity to discuss how it’s important to take care of Earth – I also have some Earth Day writing crafts I like to have available in the writing center. As well as talk about the importance of recycling! There is a ton of paper used in K-2 so I love to emphasize the importance of recycling whenever possible. We also talk about how we recycle water bottle caps to use in math and literacy centers like my CVC Bottle Caps Word Building and other things we can reuse or recycle. Anyway! 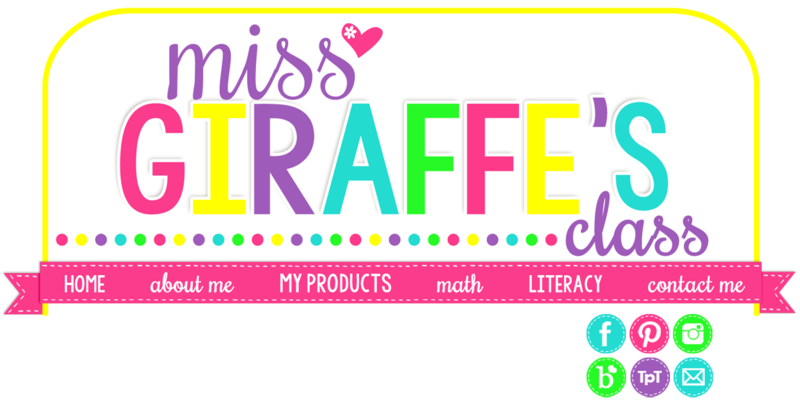 That’s what I have for spring :) I am working on a TON of blog posts right now to show teaching tricks and classroom management strategies that I’m really excited about so make sure you check back! There are a lot of different ways to follow along on the right side (by email, IG, etc.) if you want as well. I’m really excited about them!